A recent interview in The Washington Post with the renowned animal welfare specialist leaves many in dairy circles with unanswered questions. With all due respect to Temple Grandin, and the research she has done to improve the lives of farm animals, her quotes in a recent popular media report left me questioning her intentions. Titled "Why a top animal science expert is worried about the milk industry," the report ran last Thursday in The Washington Post’s Wonkblog. 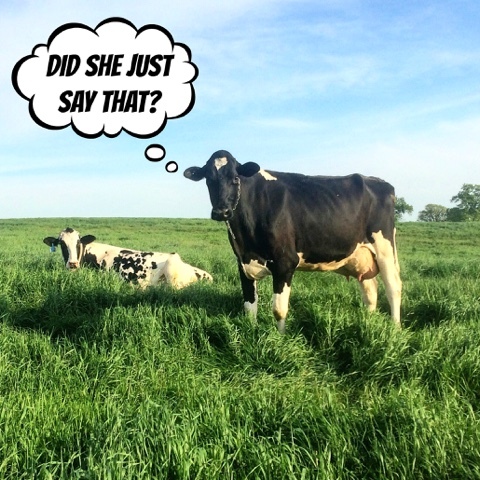 According to the report, the main beef (pun intended) Grandin has with the dairy industry right now is that we’re using selective breeding to create hyperproductive dairy cows, with little regard for cows’ well-being. 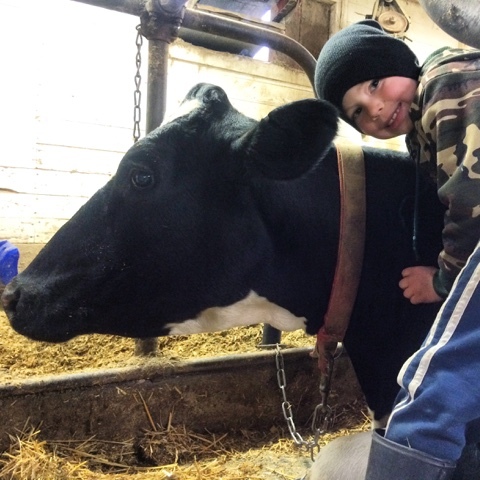 "I call them the bad dairies," Grandin said. 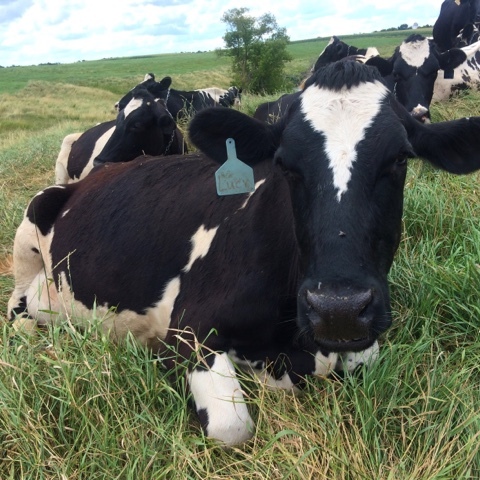 "They make up most of the farms in the United States, and their cows are so wrecked by the time they stop milking they can barely be used for beef." 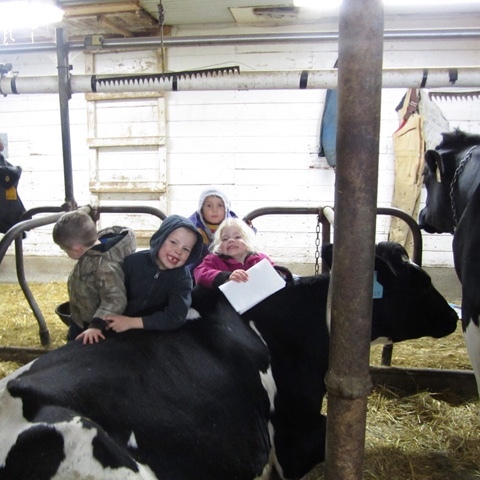 Grandin defines “bad dairies” as the ones that use selective breeding to increase cow size and milk production, at the expense of cow health. My first thought was, “Really? Did she just say that?” No dairy farm I know, mine included, is in the business of wrecking cows. On the contrary, we put all of our time and energy into creating the best life possible for our cows. Then, I was left with several questions. I use my smartphone a lot. I use it to take pictures, manage social media, check the weather, monitor school happenings, and keep in touch with family and friends. My phone is on 24/7. Every once it a while, my phone starts to act a little glitchy. The keyboard doesn’t slide up like it’s supposed to, a text message won’t send, or an app won’t open. The first time my phone acted up, I got a little worried. But then I realized that all I need to do is shut my phone off for a little while. When I turn it back on, everything works the way it’s supposed to. 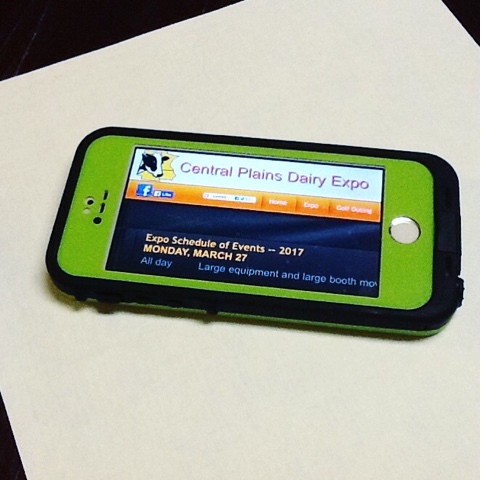 Dairy farmers are a lot like smartphones. We’re smart. We’re incredibly capable of performing multiple tasks at the same time. The variety of work we can do is astounding: from veterinary care to machinery maintenance to financial planning to growing crops. Most of us are on call 24/7. And, every once in a while, we start to act a little glitchy. We forget things, we make mistakes, or we get grouchy. Many of us operate in this glitch-y state for so long without rebooting that we begin to think this behavior is normal. 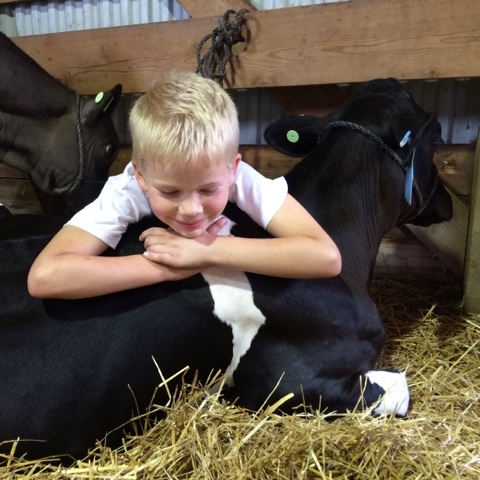 Unfortunately, it’s not as easy to reboot a dairy farmer as it is to reboot a cell phone. But it is possible. Often, it doesn’t require shutting down as much as it requires reconnecting with others, although time away from the farm does help. We can change our attitudes by changing our thoughts. Without a doubt, I am an optimistic person. My glass isn’t just half-full — it’s overflowing. But there are times when our optimism is tested. For me, February and March are the months when my smile turns upside down. 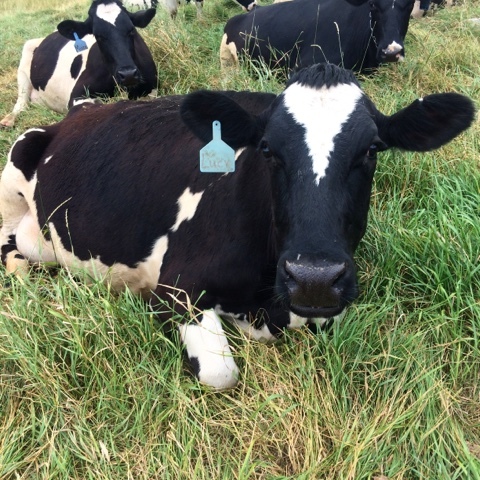 For several reasons, we schedule breeding so that none of our cows calve in December and January. That means over a third of our herd freshens in February and March. This flood of fresh cows and newborn calves overwhelms our system, including both facilities and labor. My husband and I provide 95 percent of the labor on our farm, which keeps us working overtime in normal months. During February and March, we work double overtime. 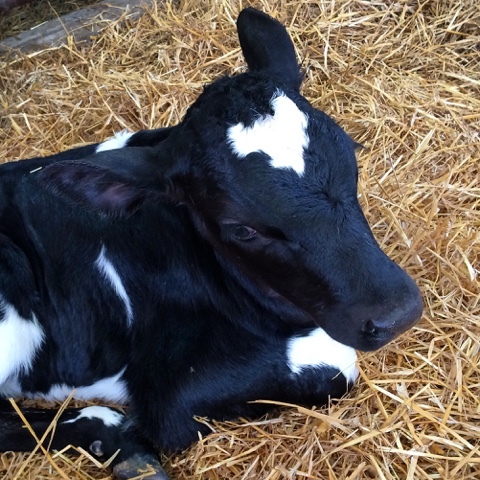 Compounding the situation is the fact that nothing else in my life slows down when calving picks up. I still need to be a wife and a mom. I still have responsibilities as an advocate and volunteer. 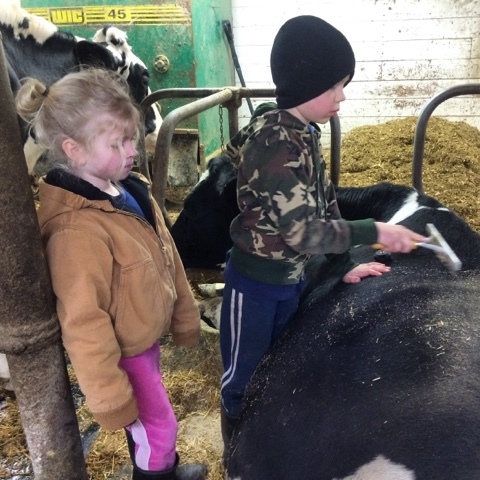 The combination of the workload and the sleep deprivation put me in a state of mind that generates some downright ugly thoughts about my decision to choose dairy farming for my life’s work. But this year, I tried something new when I felt the negativity start creeping in. I tried reframing my thoughts. 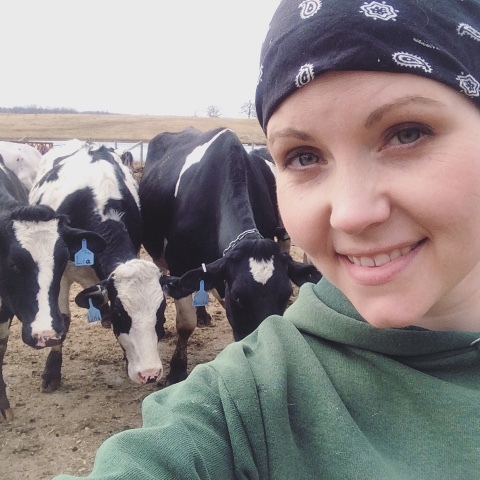 When I first agreed to serve in a leadership role for Dairy Girl Network, I don’t think I fully understood the impact this role would have on my life. 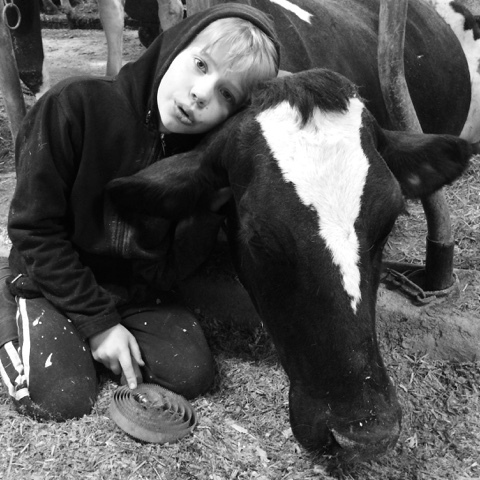 In its infancy, Dairy Girl Network was a way to help women in dairy get together for conversation and camaraderie. In the few short years since, Dairy Girl Network has become so much more. This is evident in our mission: The Dairy Girl Network supports all women in dairy by enhancing lives and creating opportunity. Our first speaker, Paula, shared a lot of wisdom about stress management. One piece of advice she shared about coping with stress was the importance of connecting with other people. I found myself wondering, is this why Dairy Girl Network has grown so quickly? Are we deficient in connecting time? I think the answer is yes. Our lives are out of balance and that balance it tipped heavily towards taking care of everything else but ourselves. Paula went on to share that connecting time is one of seven essential activities we need for optimal brain health. This concept of essential activities is part of The Healthy Mind Platter. Our second speaker, Sherry, shared a number of great messages, but the one that resonated with me was: Encouragement matters. As I interpreted it, we need to support our fellow women but also remember how important it is to provide encouragement for spouses, children, and friends, regardless of gender. We also need to recognize and appreciate those who have encouraged us. This idea was reinforced later that evening. After the Dairy Girl Network event on Friday, we went to Dan’s first swim meet. Our whole family went, which meant asking our relief milker to come so we could be there for the 6:30 p.m. start.